Have you bought a period home in Barnes, Mortlake or Sheen and want to restore some traditional features? Perhaps you are selling your house and are wondering whether box sash windows are worth the investment? 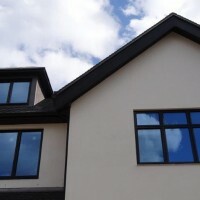 Or maybe you have a commercial building and you are thinking about aluminium vertical sliders? Here at Merton Windows and Doors, we can help. We are local glazing experts that can assist with all aspects of the supply and installation of new sash windows, doors, porches, conservatories, rooflights, roof lanterns and other glazing products. Traditionally featured in many period homes, sash windows are a popular product with many of our customers and with good reason; dodgy rattling frames, stuck panes and draughts have been replaced with a product that looks the same but is easy to use, energy efficient and secure. 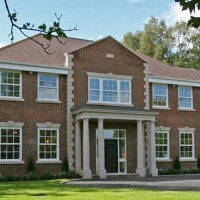 Our sliding sash windows are authentic and practical, marrying style and technology. 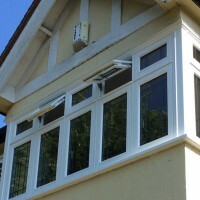 We can also supply and fit sash windows made from aluminium, uPVC and timber, depending on your preference and budget. If you are looking to add style and value to your home, you can rely on us. Call now for a free, no-obligation quote on 0208 542 2233. We will never put you under any pressure to buy from us. We will discuss your needs and vision and give you impartial advice, along with estimates and scaled drawings. As well as supply and fit of sliding sash windows, we can also quote for an array of uPVC, aluminium, Residence 9 and timber windows in London, as well as cutting edge bi-folding doors and other doors. Our modern sash windows in Barnes have all the answers! Safe and secure, incorporating a number of expert safety features with bolted locks and high quality locking mechanisms. Just like all our windows, our box sash windows are thermally efficient, meaning no draughts or cold spots – and money saved on your electricity bills! Are easy to maintain and will need no regular maintenance, just a simple wipe down to keep them clean and looking good – they even open inwards for ease of cleaning. Hugely versatile and ideal for a vast range of properties, from period homes to modern flats and office blocks. Functional and easy to use, offering smooth and reliable use for many years to come. Are sourced from leading UK manufacturers, including Kommerling and Pilkington – you can only expect the best from Merton Windows! If you are restoring sash windows and want to understand more, read our blog. 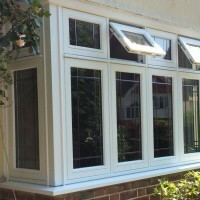 We also supply and fit types of other window styles, including casement windows and French casement windows. Are you thinking about new or replacement sash windows, vertical sliders or French windows? To hear more about our windows and services, please call 0208 542 2233, email us on [email protected] or request a call back by filling out an online enquiry form.